Discussion in 'Anniversary' started by chitrajaraika, Jun 1, 2011. Our IL friend Uma is going to celebrate her first anniversary on June 2nd.Lets wish her together. Advance Anniversary Wishes to Soniyajarika !! My hearty wishes for your wedding anniversary! may you both live a long and lovable life for ever which my heart desires to be! 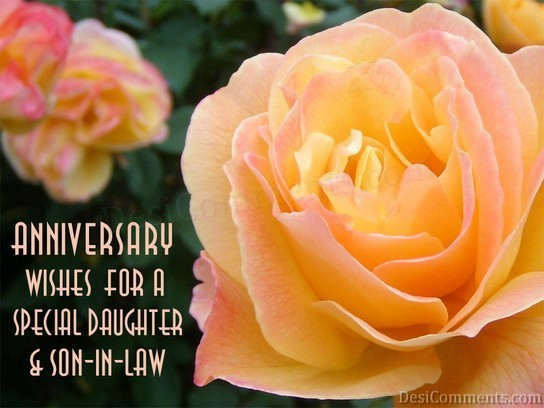 Happy anniversary to you and have a long happy life wth ur DH. May god bless you both with health, wealth, happiness and evergrowinglove for each other. Wish you a great day dear. Wish you a memorable anniversary and a wonderful year ahead !!! Wish you and your better half Happy Anniversary.